If you follow me on IG, or know me IRL, then you know that April was my busiest month yet. Along with putting the final touches on a 4-month-long planning process for a big client launch, signing a new client, and starting more new work, I also participated in this year's Femme Fair. There were many points in April where I thought I was losing my mind with just how busy I was (lol), but seeing everything come together and making it through with the support of so many wonderful people made it all worth it. 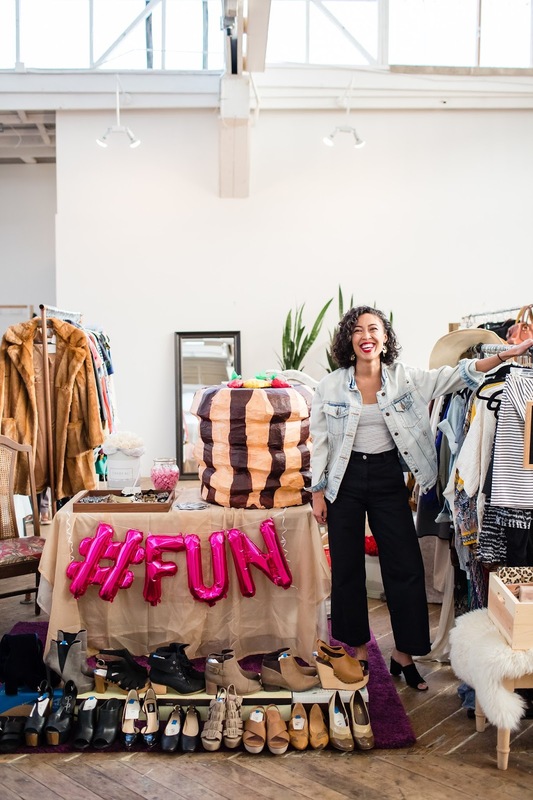 For those of you haven't seen my oodles of Instas promoting it, Femme Fair is a female-empowerment event that brings together women to connect, inspire, and shop! 2018 marked its second year and I was honored to take part in it alongside 14 other badass blogger babes, a handful of inspiring speakers, and, of course, a team of fiercely talented founding gals. As a gal who has only ever had a small group of gal pals in her life, I was overjoyed to meet, connect, and bond with so many strong and inspiring ladies through this event. I was also utterly impressed by everyone's creativity -- the booths were unreal. Speaking of booths, mine would have been nothing (and I mean nothing) without the help of my endlessly supportive, patient, and loving boyfriend. Did I mention that the stack of pancakes sitting on my table was a surprise from him? Yeah, I know. He wins the "best boyfriend of the year" award for that one. Well, enough words from me. After the jump, see more of this year's Femme Fair captured by Jess Onesto.